At this point, we know that the Wii U and NX versions of the highly anticipated The Legend of Zelda: Breath of the Wild will play identically. That’s fine, but we also know that the NX version of the game is slated to look far better than the Wii U version, owing to the NX’s expected generational gain in hardware resources. So far, everything we have seen of the game has been the Wii U version (which is amazing, if you think about it- the game looks as great and appealing as it does on the Wii U). But we will get to see the NX version of the game, as well as any differences that that may have over the Wii U version, soon enough, according to Nintendo of America’s Reggie Fils-Aime. “The differences [between the NX and Wii U versions of the game] we’ll show off in the future,’ Fils-Aime said in an interview with popular YouTuber iJustine. I guess we can expect some substantial graphical upgrades for the game that are apparent at a glance? 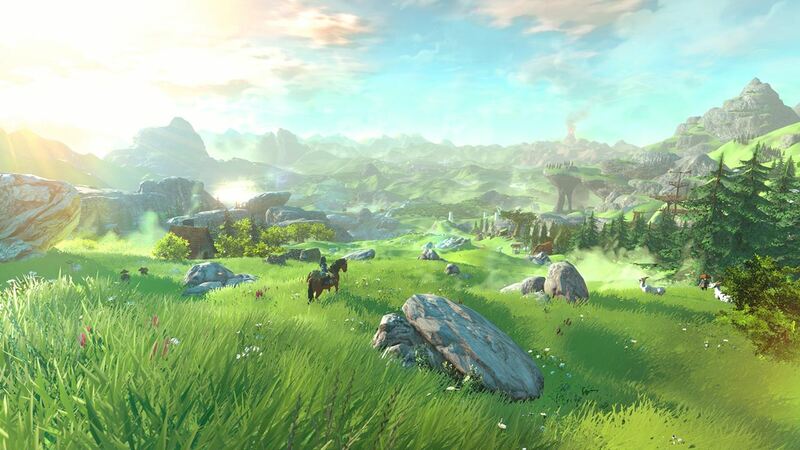 The Legend of Zelda: Breath of the Wild will launch in 2017 for Wii U and NX.